To view all your projects, you just have to log in and they will all appear on the left sidebar. To create a new project, click on « + ». You can also directly add a new Cloud account if you didn't. Name: Alphanumeric code to name the cloud account. Access key: The access key provided by AWS. 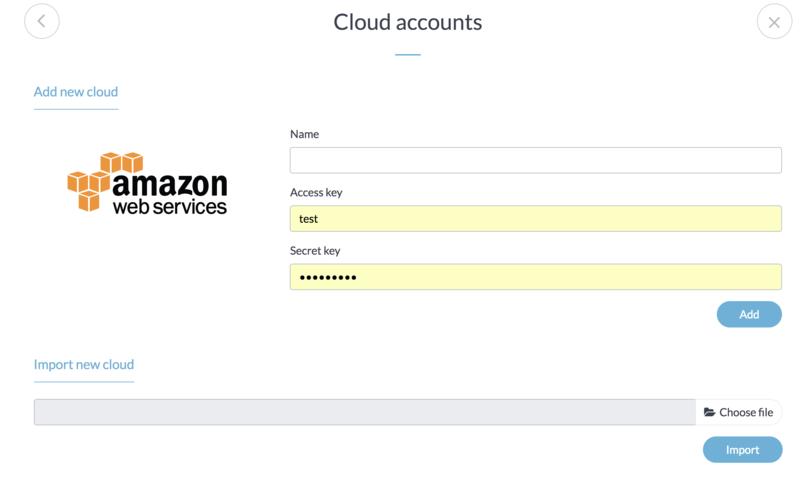 Secret key: The secret key provided by AWS. Then you will be able to create your first project. 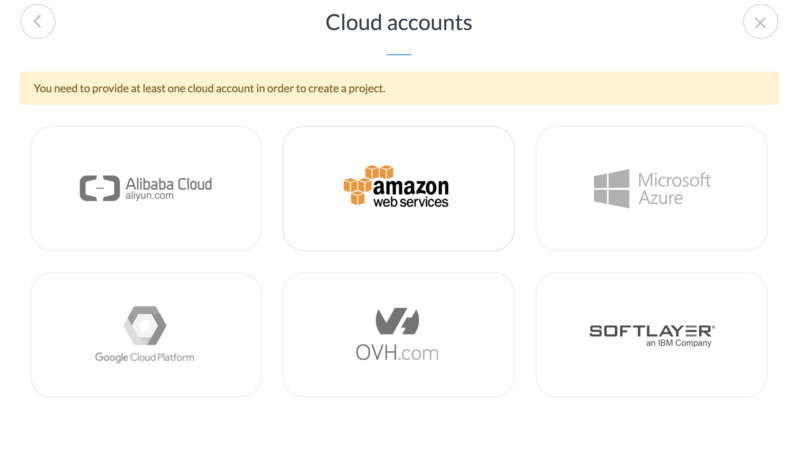 Cloud account: Choose the cloud account on which you want to create your project. Name: The name you want to give to your project. 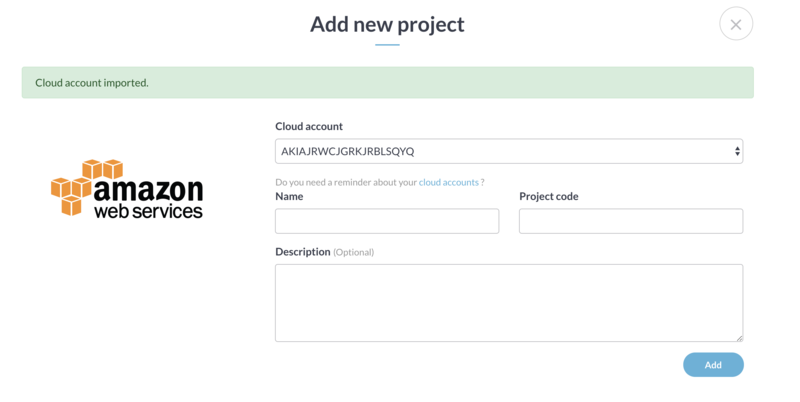 Description (optional): You can add a descriptions to your projects. Then you will be redirect to the main page with your new project visible in the left sidebar.